There is list in my mind which contains the names of the dishes that I would never refuse!! 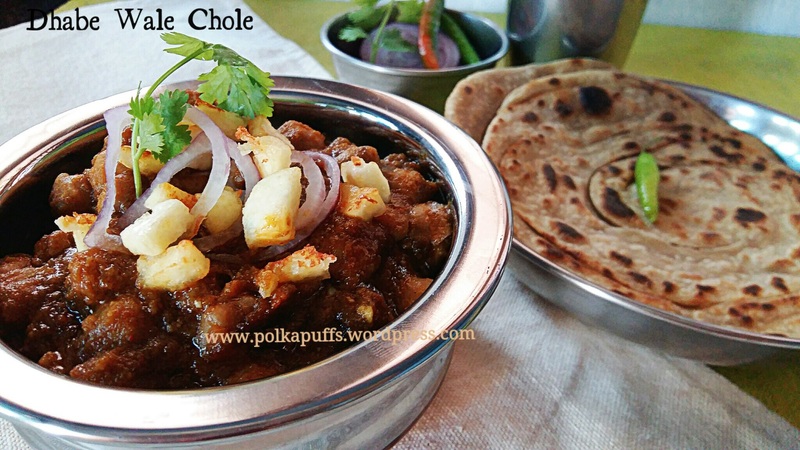 Chole or Chana Masala being one of the many on that list! 😛 it’s simply irresistible! Equipment: a pressure cooker, a heavy bottomed wok, a ladle, a blender, measuring cups/ spoons, a small pan. some cubes of fried cottage cheese (paneer) and onion rings to garnish. 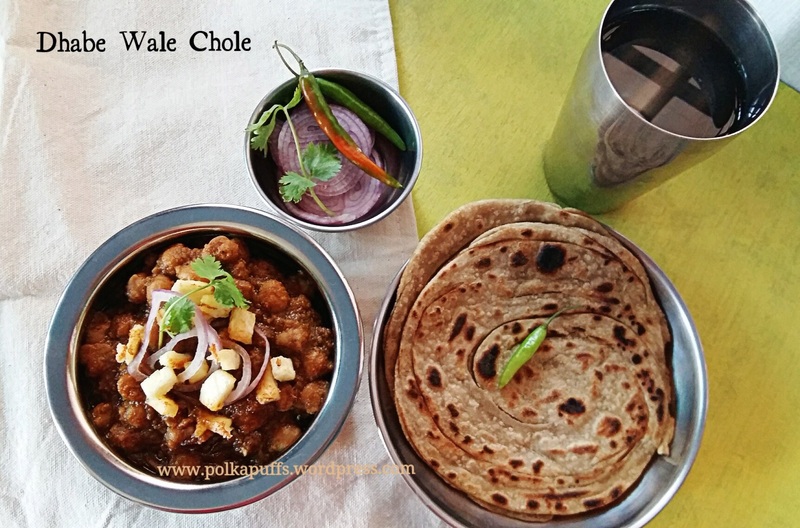 Soak the Chole overnight in 4 cups of water. Next day, pressure cook the soaked Chole with some salt and the teabag. It will take 3-4 whistles to cook. Once done, discard the teabag & drain all the water. 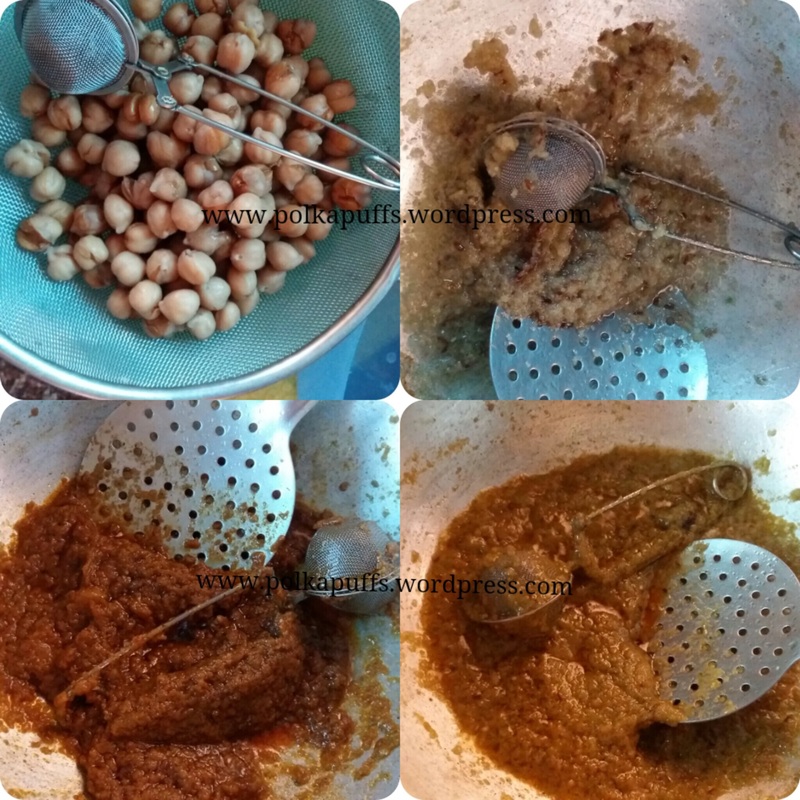 Now add the roasted cumin pwd to the boiled Chole and mix it well. Set that aside for later use. Grind the ginger, garlic , green chillies and onions together to make a smooth paste. Also purée the tomato and coriander leaves together. Set these aside. Now, heat oil in the wok. Once it’s hot enough, add the Jeera dana and hing. Let these splatter a bit. Then add all the whole spices and sauté for a minute. (Please note that my hubby doesn’t not like whole spices in the food so I have used the infuser while sautéing the spices and then later discarded the same, you can add directly into the wok). Then add the onion, ginger, garlic & green chilli paste. Cook this for about 7-8 minutes until it leaves oil from the sides. Next add the tomato and coriander purée. Again cook on medium flame for about 10 minutes. The colour will darken and the oil should separate. Also, the mixture will not have the raw fragrance of the tomatoes. 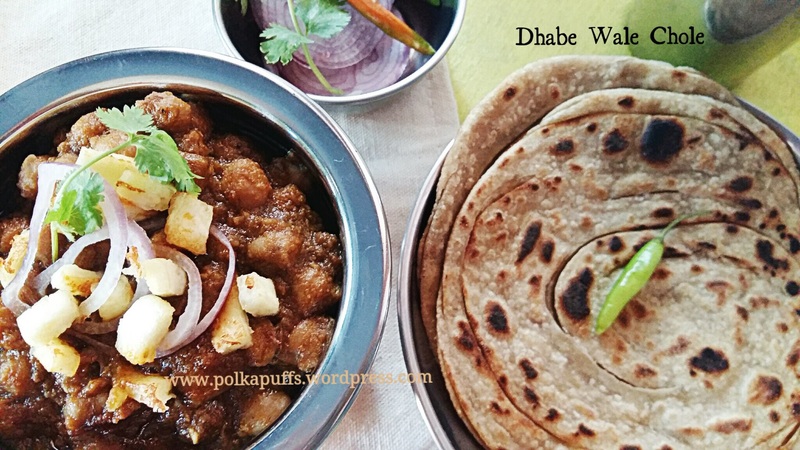 At this stage, add the dry spices except the anardana pwd and season with salt (but not too much as the boiled Chole is seasoned with some salt while boiling).Mix well and cook for 5-6 mins for the spices to cook well. And that’s how you spend a lazy Sunday! 😂 Enjoy! Hi Sana, thanks for stopping by!! For the choke, you can take about 3 cups for 4 people. I used a 250 ml cup. And yes…I made a slightly bigger batch for 2 people. Do try! Thanks a lott for the fast reply 😊😊 Will surely try this out.